December … the time when dark days are brightened by twinkling fairy lights and everyone counts down to Christmas. Thomas, too, can’t wait to get back to Madrid. However, a huge accident is causing monstrous traffic jams near Montpellier. Fortunately, Bob, the dispatcher, can activate the GeoFencing feature in the back office software to warn Thomas and all his colleagues that a traffic jam lurks across the bend. This allows him to anticipate the traffic jam and take an alternate route. Thanks to Bob, Thomas will now be home in time for the Christmas dinner. We wish Thomas, Bob and all of you happy holidays and the best wishes for 2018! 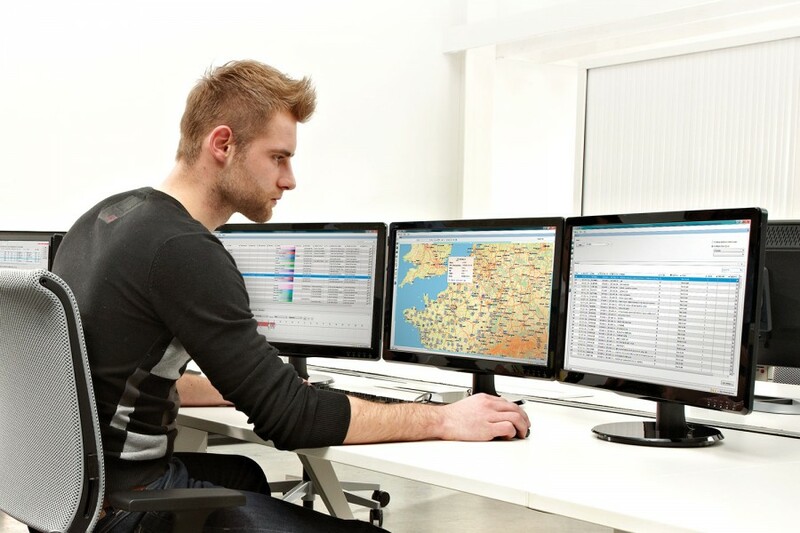 TX-CONNECT is a web-based back office solution that manages and displays real-time information from trucks, drivers, trailers and business partners. It enables interaction with drivers and visualisation of their activities. TX-CONNECT also offers historical views and reporting. Integration with other software applications guarantees further processing of your fleet data. Ready to anticipate traffic and save time?